Not every project needs a big framework. Both Foundation and Bootstrap are fantastic widely-supported frontend frameworks. Sometimes a web project just needs something simple. And that’s exactly what Cutestrap delivers. Cutestrap describes itself as “something in between normalize.css and a full blown framework”. This is a great description because it’s not a bare-bones stylesheet and it’s not overly-ornate either. The main stylesheet totals about 8KB which is over ten times smaller than Bootstrap’s minified stylesheet (averaging 110KB-120KB). Every Cutestrap website uses a vertical rhythm that blends nicely with its predefined grid system. All the default typography settings have their own line height values that match accordingly. All specificity is kept to a minimum so you can easily overwrite any settings if needed. You can find a bunch of examples right on the home page. It lists demos plus source code alongside form elements, grids, buttons, and other Cutestrap components. Not only Cutestrap is a great alternative to Normalize but it’s also super easy to edit. Cutestrap can work well as a foundational framework that you can modify to your liking. All CSS classes follow the BEM methodology for naming and hierarchies. This convention can be extended with your own BEM stylesheet, although you certainly don’t need to follow the same naming conventions. 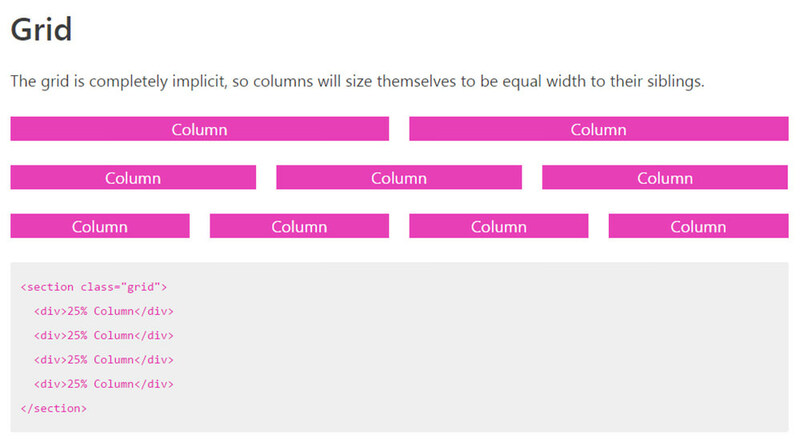 The grids mostly rely on Flexbox and you can download Cutestrap’s stylesheet as plain CSS or in Sass format. I can’t think of a better frontend alternative that’s easy to set up and even easier to customize. All default HTML elements have defined styles so you can literally add Cutestrap to your site and start coding. The design won’t have much flair but it’ll look a hell of a lot better than the browser defaults. To learn more, check out the Cutestrap website where you can browse through features and download a copy of the CSS stylesheet.